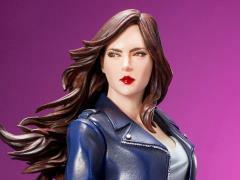 Kotobukiya’s Marvel Comics ARTFX+ Statues have brought you Avengers, X-Men, and Spider-Man and characters from his world, but Koto turns there attention to the street-level heroes of the Defenders. A collaborative effort between Marvel Comics artist Dale Keown and Junnosuke Abe (Restore), the sculptor behind many of Kotobukiya’s Marvel statues. 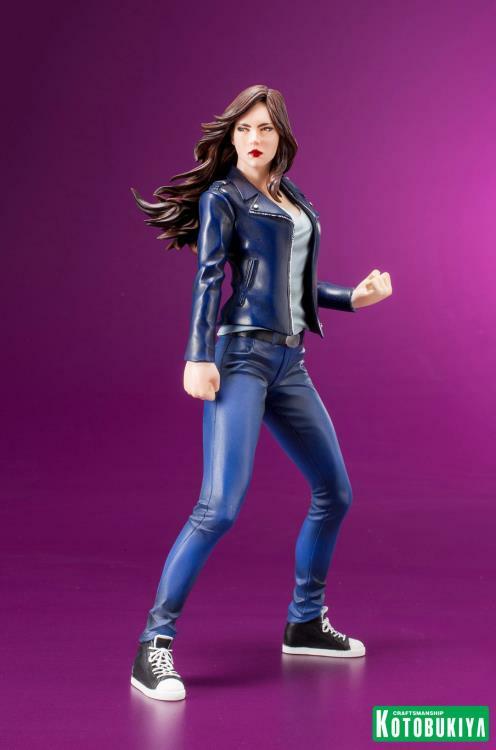 The Defenders lineup now adds the mysterious, super powered private investigator who roams the back streets of Manhattan: Jessica Jones! 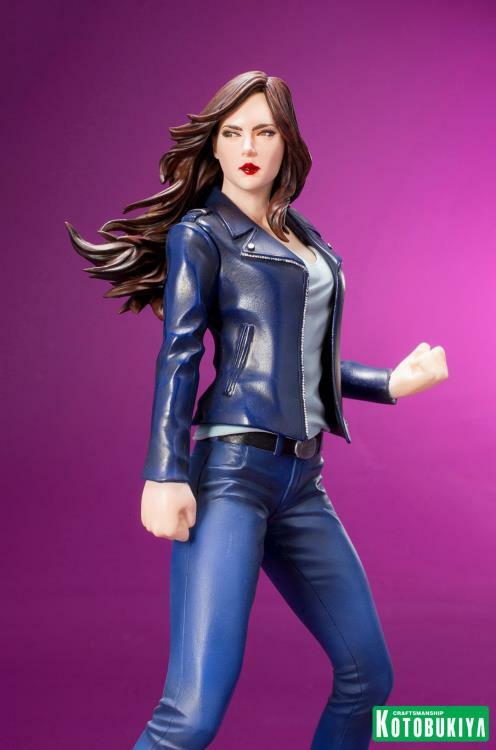 Beloved by longtime comic book fans as well as new followers of Marvel alike, the current iteration of the heroine was born in the Alias comic series which covers the former superhero’s work as a P.I. 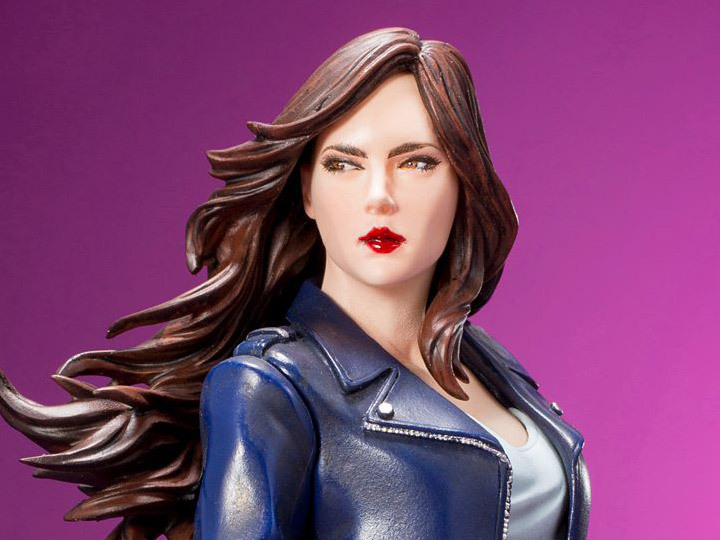 and became the basis for the popular Jessica Jones Netflix series. 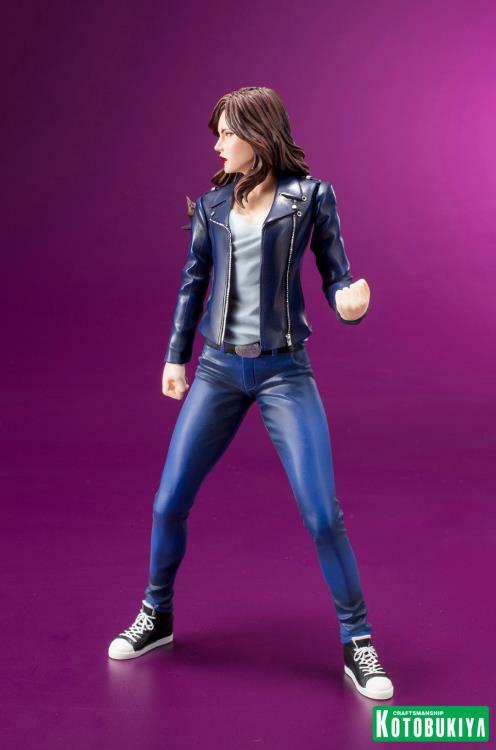 The time for investigation is over and Jessica Jones stands ready to take down any creep or villain who threatens her city! Remembering her former glory days as an Avenger the private eye takes a tough stance in the face of evil, turned to the side to present a smaller target and holding her fists clenched tight. 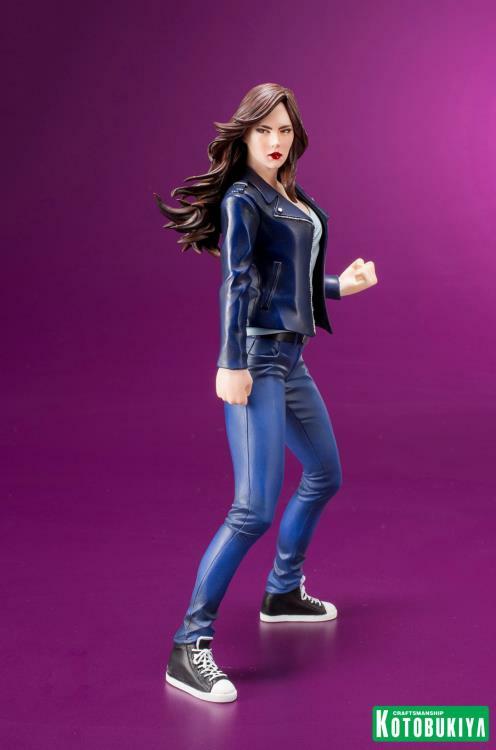 She wears her usual casual work attire with black and white tennis shoes, blue jeans, a white shirt, and a navy blue jacket. 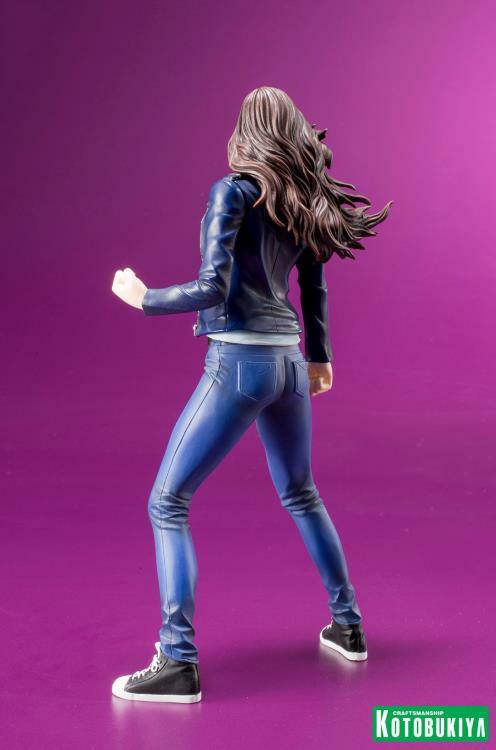 Her pose accentuates her athletic physique and captures the power she holds within her, while the fluttering of her long brown hair adds a unique hint of motion to the presentation.